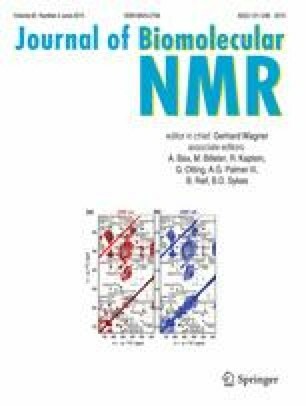 For a wide range of proteins of high interest, the major obstacle for NMR studies is the lack of an affordable eukaryotic expression system for isotope labeling. Here, a simple and affordable protocol is presented to produce uniform labeled proteins in the most prevalent eukaryotic expression system for structural biology, namely Spodoptera frugiperda insect cells. Incorporation levels of 80 % can be achieved for 15N and 13C with yields comparable to expression in full media. For 2H,15N and 2H,13C,15N labeling, incorporation is only slightly lower with 75 and 73 %, respectively, and yields are typically twofold reduced. The media were optimized for isotope incorporation, reproducibility, simplicity and cost. High isotope incorporation levels for all labeling patterns are achieved by using labeled algal amino acid extracts and exploiting well-known biochemical pathways. The final formulation consists of just five commercially available components, at costs 12-fold lower than labeling media from vendors. The approach was applied to several cytosolic and secreted target proteins. The online version of this article (doi: 10.1007/s10858-015-9935-6) contains supplementary material, which is available to authorized users. We would like to thank Alexandra Hinniger for help with purification of protein and Jan Hendrik Rieger and Chrystèle Henry for help with sample preparation. The authors declare that they have no conflict of interest. This article does not contain any studies with human participants or animals performed by any of the authors.